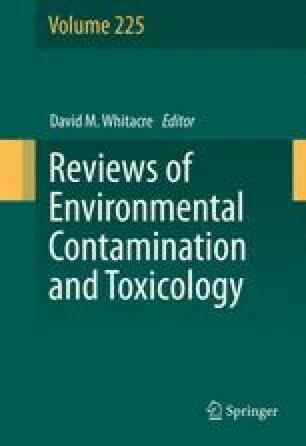 The term “trace elements” generally includes elements (both metals and metalloids) that occur in natural and perturbed environments in small amounts and that, when present in sufficient bioavailable concentrations, are toxic to living organisms (Adriano 2001). This group includes both biologically essential [e.g., cobalt (Co), copper (Cu), chromium (Cr), manganese (Mn), and zinc (Zn)] and nonessential [e.g., cadmium (Cd), lead (Pb), and mercury (Hg)] elements. The essential elements (for plant, animal, or human nutrition) are required in low concentrations and hence are known as “micro nutrients.” The nonessential elements are phytotoxic and/or zootoxic and are widely known as “toxic elements” (Adriano 2001). Both groups are toxic to plants, animals, and/or humans at exorbitant concentrations (Alloway 1990; Adriano 2001). Heavy metal(loid)s, which include elements with an atomic density greater than 6 g cm#3 [with the exception of arsenic (As), boron (B), and selenium (Se)] are also considered to be trace elements. The Postdoctoral fellowship program (PJ008650042012) at National Academy of Agricultural Science, Rural Development Administration, Republic of Korea, ­supported Dr Kunhikrishnan’s contribution.